Founded more than 90 years ago, STIHL is best known as the world's top-selling chainsaw brand. Through the decades, STIHL has expanded to develop, manufacture and distribute a wide range of power tools for the forestry, agriculture, construction, gardening and landscaping sectors. 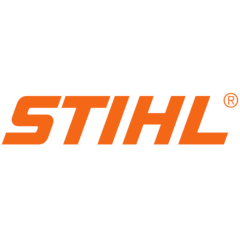 STIHL distributes its products through a network of 45,000 approved dealers in more than 160 countries. The German toolmaker has 38 sales and marketing subsidiaries of its own, plus more than 120 importers, and posted more than $4.3 billion of sales in 2017.
mG miniGears is an Italian-owned company with manufacturing facilities in Italy, Germany, Virginia Beach, Virginia in the U.S. and China. Originally founded in 1976, mG miniGears merged with Herzog in 2015 and is a global market leader in the design, manufacture and sale of small modular gears, reducers and powder metallurgy components — all critical in the production of STIHL power tools. Like many of the world's largest manufacturers, STIHL has built a mature IT infrastructure with a robust enterprise resource planning (ERP) system used to streamline and automate business processes. The next logical step for enterprises like STIHL is to extend those processes and automations to industry partners, integrating upstream and downstream enterprises into the entire supply chain to save labor costs, improve efficiency and reduce error rate. As a result, small and medium-sized businesses often receive invitations from enterprise customers to interface with their electronic data integration (EDI) systems. An EDI is a system that can automatically transfer and process business documents, such as orders and invoices, between enterprises through a web-based communication network. To capture the full benefits of their automated systems, STIHL worked to extend its business process automation to industry partner mG miniGears using the SFTP EDI transfer protocol. STIHL and mG miniGears selected the RSSBus SFTP Connector, a professional-grade file management transport solution that provides powerful automation and security features. The connector links directly to the client server, providing a simple operation and instantaneous transfer speeds. In combination with the secure transmission of the SFTP connector, the EDI standard DELFOR and DESADV files are successfully transmitted to provide customers with a complete EDI system. The business mapping is organized according to the specific business processes of both STIHL and mG miniGears and meets all STIHL specifications. In accordance with the EDI specification provided by STIHL, the integration parses the EDI message format into an excel file that they can visually see. The EDI system docking solution first receives the EDI file transmitted by STIHL through the SFTP connector and is developed and parsed into excel format. When miniGears needs to send file to STIHL, the connector transforms Excel files to generate EDI format files. The files are then connected to STIHL's system via SFTP. Using the friendly RSSBus user interface, the entire process can easily be automated and set up in just one minute! With the RSSBus SFTP Connector, STIHL has successfully relayed their internal business process automations to their key components supplier, mG miniGears. The integration allowed mG miniGears to meet all the supply chain needs for STIHL. The STIHL integration was supported by an RSSBus featured EDI integrator, providing mG miniGears a fast, seamless and effective integration. Today, they enjoy a steady EDI connection, with the high-quality support to ensure it lasts.